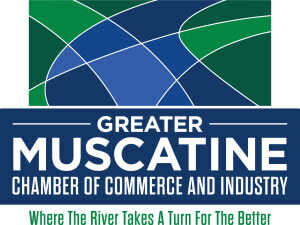 GMCCI focuses on maintaining a higher quality of life in Muscatine by being supportive of local education initiatives. We provide a link to the business community and workforce development, while supporting new programs that encourage a higher level of learning, such as the new g2 initiative and the Leader-In-Me. These are just some of the ways GMCCI supports education in the Muscatine community. Muscatine is home to the Muscatine Community School District, which is comprised of eight elementary schools, two middle schools and one high school. Our community has great schools that work to provide quality education to the children of Muscatine. The mission of the Muscatine Community School District is to ensure excellence in education for every student. “The Muscatine Community School District will provide a safe, nurturing environment where academic excellence is expected and diversity is recognized as a strength. We will meet individual needs while developing independent learners who are also successful team players. We will embrace innovative practices that are research-based and promote high levels of student learning. Technology rich classrooms will enhance active learning and excitement. Interior and exterior walls will become seamless as learners and the community collaborate. Our students will achieve positive social skills, which promote respect and responsibility to self, family and community, resulting in positive self esteem. Muscatine Community College offers an opportunity for higher education in the community. Founded in 1929, the college has provided learning services for associates degrees, continuing education and technical skills. As part of the Eastern Iowa Community College District, students from Muscatine have the opportunity to enroll in classes at either the Clinton or Scott campuses. Additionally, the Eastern Iowa Community College District offers an array of online classes to accommodate flexibility with scheduling.